Naramata (population: 2,000) is a quiet community with no traffic lights. Ramble along tree-shaded streets and absorb lake and mountain vistas and extravagant sunsets. 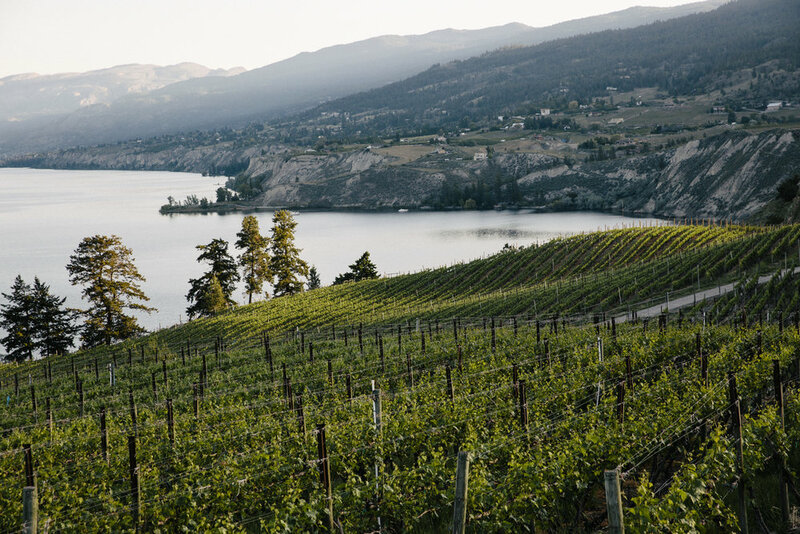 Unplug and rejuvenate by swimming from sandy beaches, fishing mountain lakes, sipping acclaimed vintages at the wineries and vineyards of the Naramata Bench, shopping for fresh produce at farms and markets, browsing art galleries for the works of local artists or hiking and mountain biking the forest trails. The KVR trail occupies the former railway track of the Kettle Valley Railway. The railway was built over the course of nearly 20 years, and the section between Merritt and Midway opened May 31, 1915. A detailed history of the Kettle Valley Railway, and the accomplishments of its primary engineer, Andrew McCulloch, can be found on Wikipedia. The KVR trail in the Naramata area is known for the excellent views it offers of the southern end of Okanagan Lake. The KVR Trail is only steps away from CasteRock Bed & Breakfast and can easily be accessed.